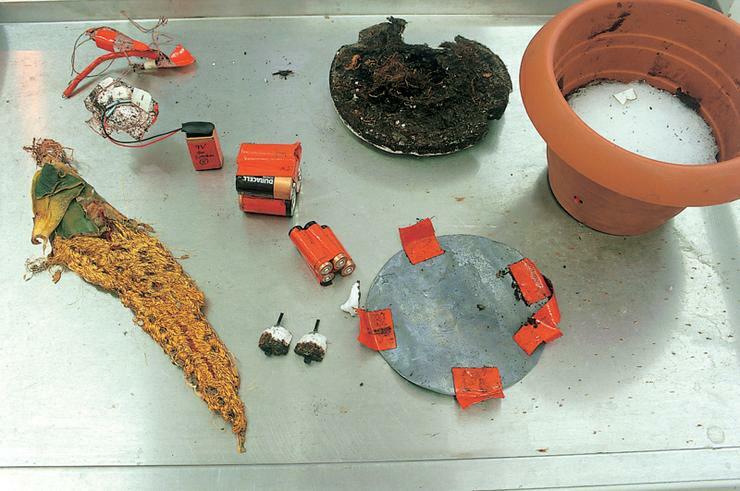 Sansavaria potted plant, bump-and-go motor, sony walkman, speaker, amplifier, gold embroidery thread, batteries. 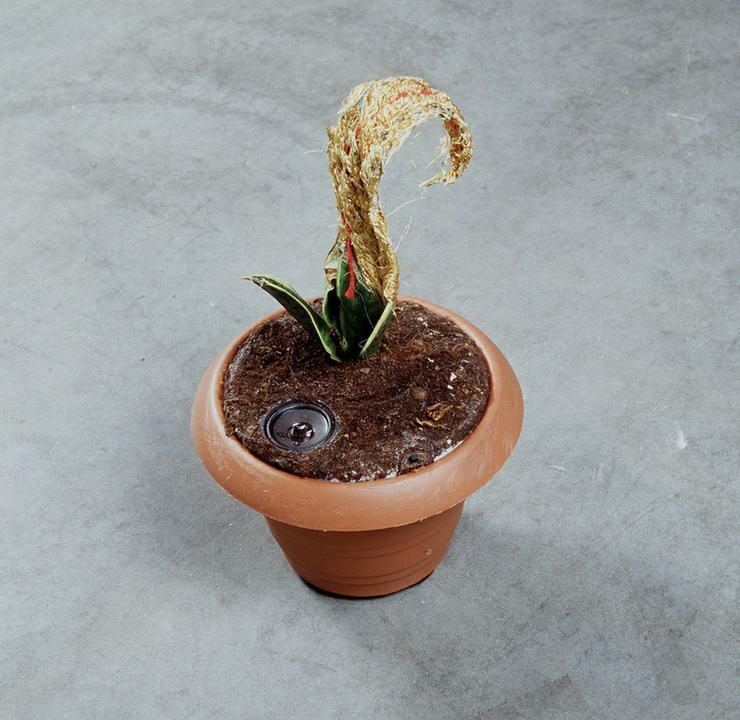 During the Holland South Africa Line residency in Amsterdam BB noticed the Sansavaria plant (mother-in-laws tongue), a hardy African houseplant, transplanted to Europe by the Belgian empire in the 1950s, fashioning the windowsills of european homes. 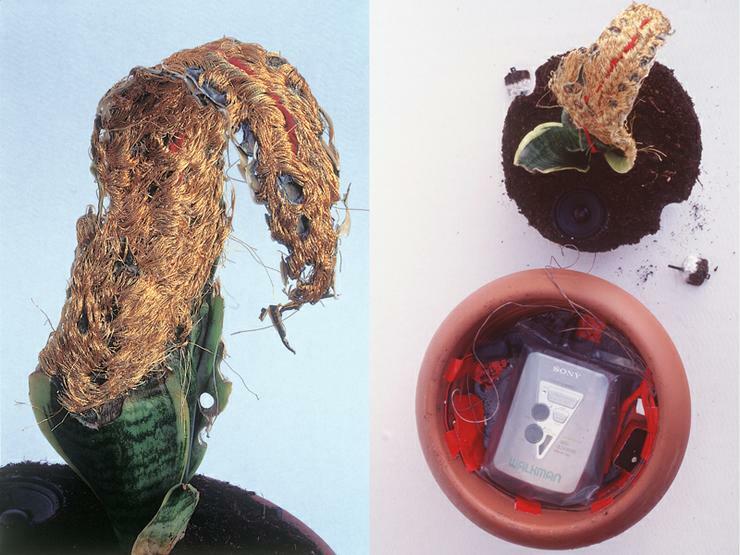 Take Good Care of Yourself (2000) stages a symbolic environment where the orphaned, wounded plant still embodied in it’s potted confines, its leaves grafted together with gold embroidery thread, mirrors an occupied and hybrid world. The plant motors along the floor and bumps up against people’s legs, then moves away. Emanating from the soil is a frantic voice shrieking out a persistent ditty “Take Good Care of Yourself”. 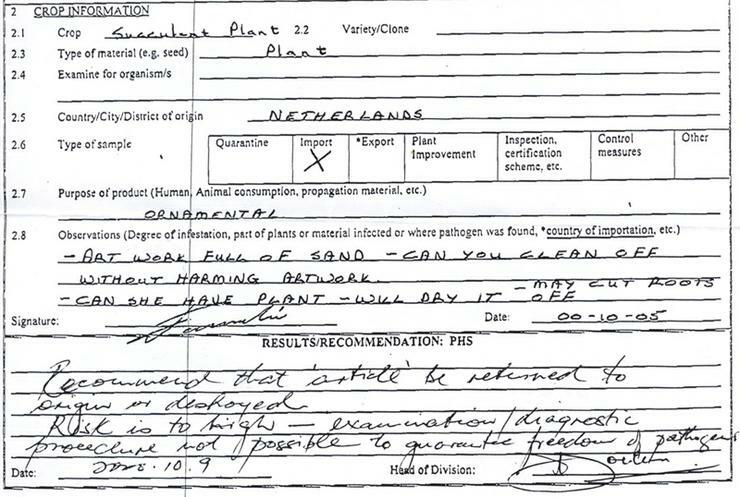 On importation into South Africa, Take Good Care of Yourself was confiscated by CUSTOMS for foreign soil contamination. 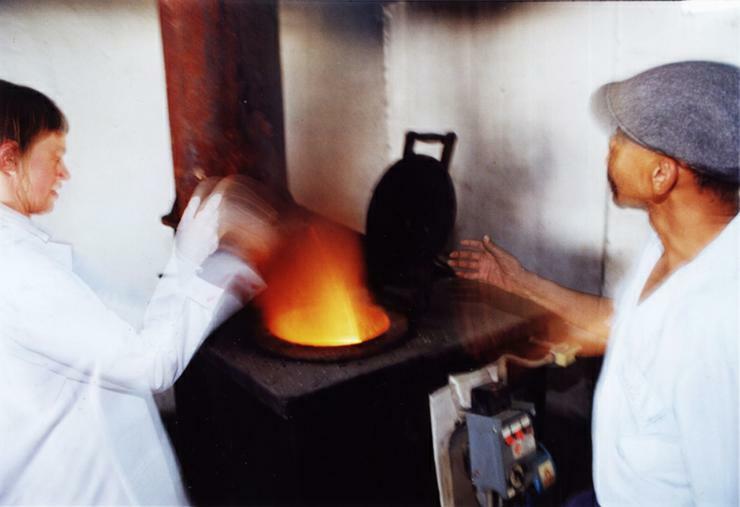 Incineration of the plant took place at the Plant Protection Unit in Stellenbosch that same year.